With the change of seasons, this is an exciting time of year in men’s fashion. Our new Spring 2017 fabric collections are arriving daily. I’m spending my days culling through fabrics to find the fabrics that are best for you. The mills continue to improve fabrics with new technologies and give us fresh new looks. 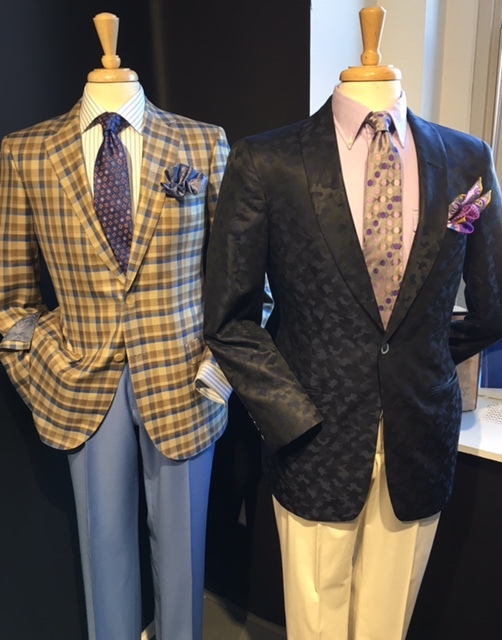 Some trends in the market are innovative windowpanes and plaids in both suits and sport coats. Medium blue, seafoam green, and pink accents are the colors of the season. Let’s meet soon to freshen up your Spring Wardrobe. Call our wardrobe hotline 502.417.0324 or email KennyG@ExecutiveImage.com to get started.